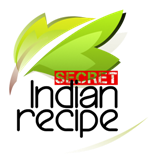 Babli Bhatia's Secret Indian Recipe ! First make some slit on the chicken. Take another bowl, add dahi, salt , chopped ginger and garlic, black pepper, turmeric, zeera powder, dhania powder, garam masala, mustard oil, chopped BHANG leaf, tandoori masala, chicken masala and mix well. Then add the chicken and mix well so that chicken will evenly coat. Marinate for 30 minutes. Heat another pan, add oil in the pan and heat the oil. Then add the marinated chicken and halt teaspoon sugar onto the pan. More you marinate, more taste will be the chicken. Cook evenly. Add lemon juice at the end.